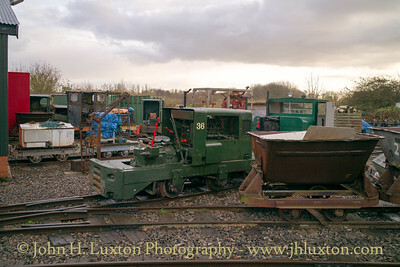 The West Lancashire Light Railway which celebrated its 50th Anniversary in 2017 is located at Hesketh Bank, Lancashire. 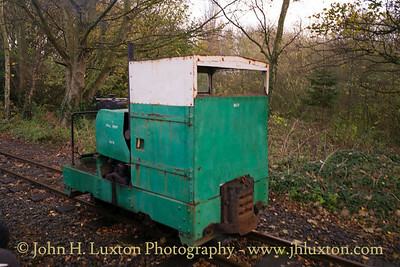 It is Lancashire's only narrow gauge railway. 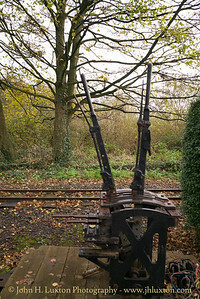 Constructed around a former brick works clay pit the line is home to a large collection of 2ft gauge locomotives and rolling stock. 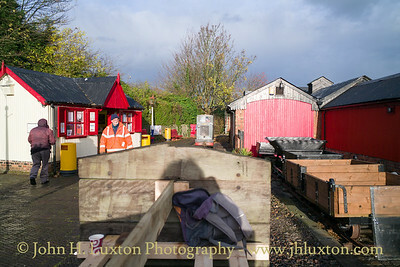 Photographs of the West Lancashire Light Railway taken during the visit of the Branch Line Society on Friday November 17, 2017. 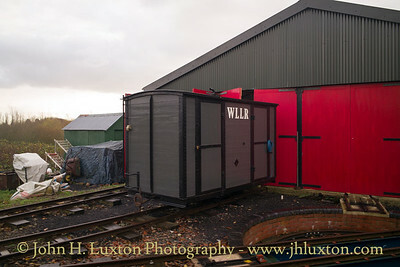 The temporary coaches constructed from the WLLR wagon fleet to enable almost all the track on the railway including the turntable to be travelled over by members of the BLS. 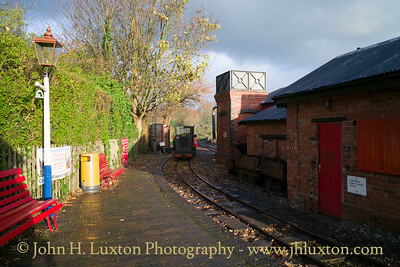 Photographs of the West Lancashire Light Railway taken during the visit of the Branch Line Society on Friday November 17, 2017. 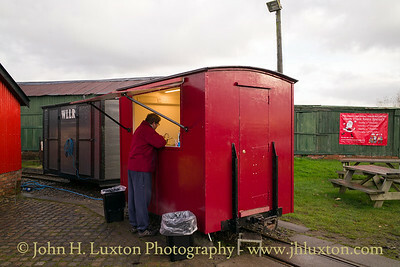 Early morning and BLS members avail themselves to bacon rolls and drinks served from the rail mounted refreshment van. 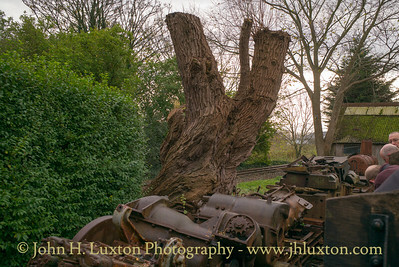 Photographs of the West Lancashire Light Railway taken during the visit of the Branch Line Society on Friday November 17, 2017. 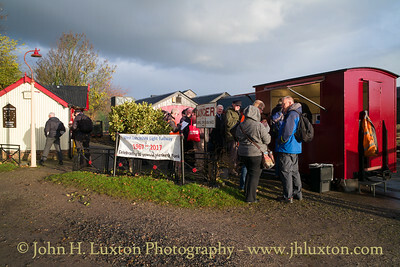 Early morning and BLS members avail themselves to bacon rolls and drinks served from the rail mounted refreshment van. The temporary passenger coaches converted from freight wagons can be seen on the right. 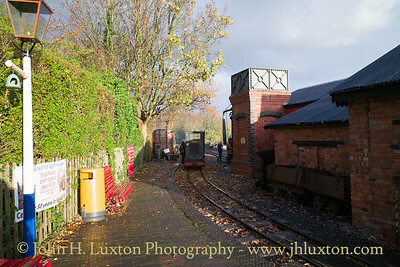 Photographs of the West Lancashire Light Railway taken during the visit of the Branch Line Society on Friday November 17, 2017. 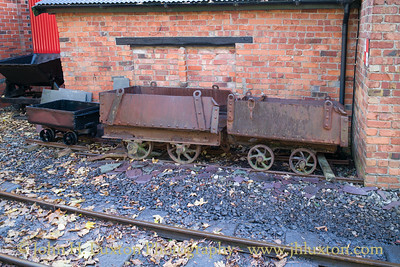 Assorted narrow gauge wagons the two nearest the camera appear to be from a Welsh slate quarry. 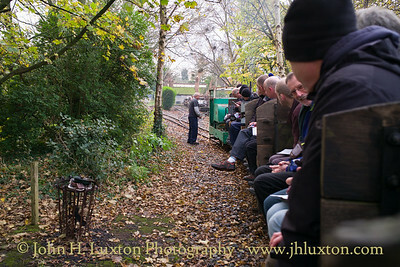 Photographs of the West Lancashire Light Railway taken during the visit of the Branch Line Society on Friday November 17, 2017. 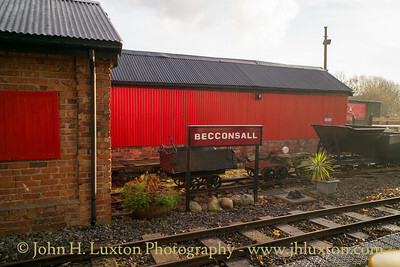 Photographs of the West Lancashire Light Railway taken during the visit of the Branch Line Society on Friday November 17, 2017 Train on the southern most extremity of the line at Becconsall. 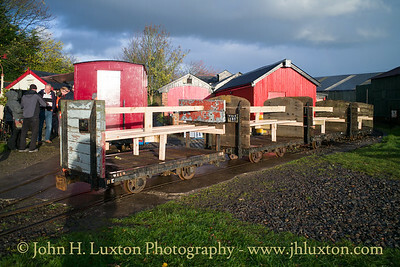 Photographs of the West Lancashire Light Railway taken during the visit of the Branch Line Society on Friday November 17, 2017. 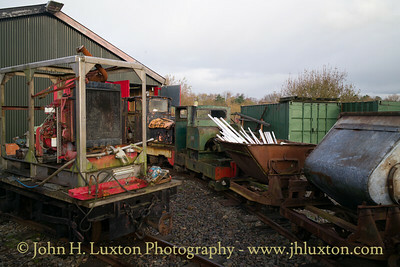 The locomotive shed. 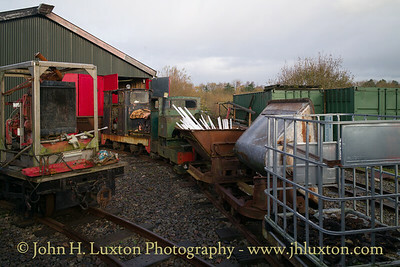 Photographs of the West Lancashire Light Railway taken during the visit of the Branch Line Society on Friday November 17, 2017. Simplex diesel MILL REEF near Willow Tree halt with the BLS train. 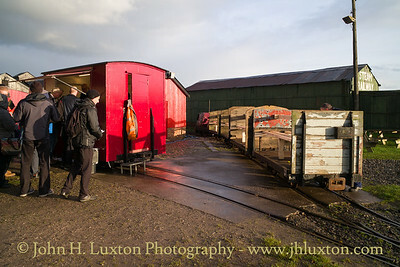 Photographs of the West Lancashire Light Railway taken during the visit of the Branch Line Society on Friday November 17, 2017. The refreshment van. Photographs of the West Lancashire Light Railway taken during the visit of the Branch Line Society on Friday November 17, 2017. 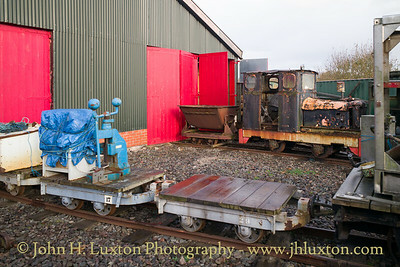 Assorted narrow gauge rolling stock. Photographs of the West Lancashire Light Railway taken during the visit of the Branch Line Society on Friday November 17, 2017. 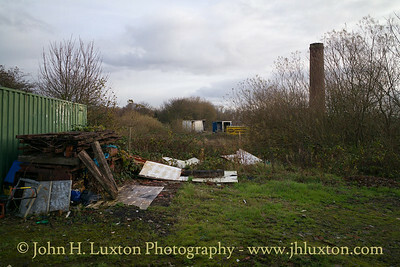 The old brick works. 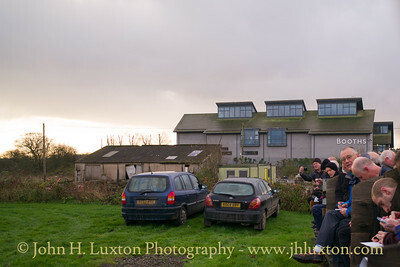 The WLLR is built around the site of an abandoned clay pit. Photographs of the West Lancashire Light Railway taken during the visit of the Branch Line Society on Friday November 17, 2017. A lever frame for future use. 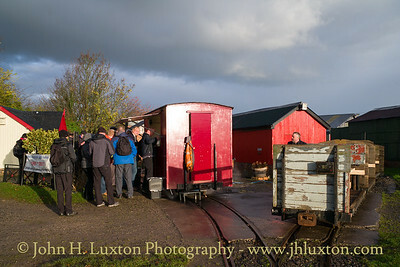 Photographs of the West Lancashire Light Railway taken during the visit of the Branch Line Society on Friday November 17, 2017. 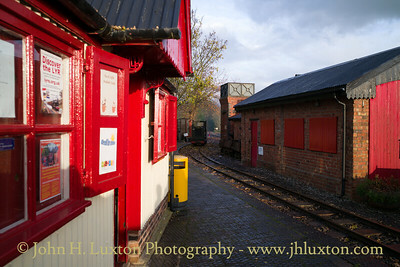 The BLS travelled over almost all the track here are the sidings at Willow Tree Halt.